Multi award-winning acoustic duo Jane Germain and Ian Simpson’s new album features songs they have been creating together in their own style. They range from raging bluegrass, hard-driving blues, to old-timey banjo duets and alt country blues. Jane and Ian have been playing their style of acoustic music together now for several years. They first teamed up for Jane’s album Chinese Whispers, and then released their first duo album Lonesome Road. This was followed with No Fun Allowed From that album the track Listen to What You Know was awarded Song of the Year at the 2016 Tasmanian Composer’s Festival. The duo had the honour of representing Australia at the World Expo in China. 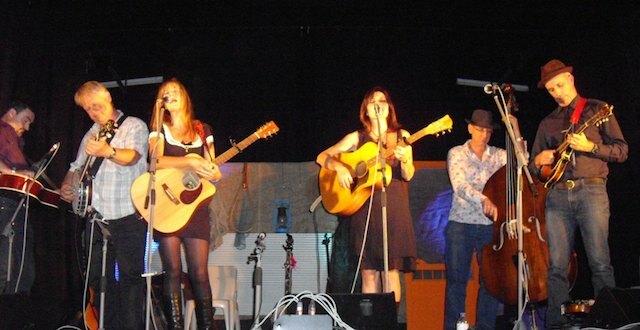 They were also awarded WA Country Music Award for Best Vocal Group or Duo for four consecutive years. 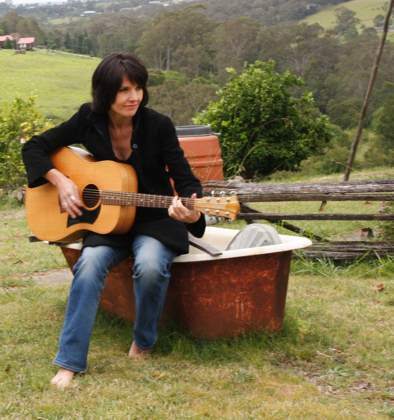 Home on the Hill contains songs written about Jane’s travels in Tasmania. Songs such as The Girl From Daisy Dell – the story of a girl who was murdered near Cradle Mountain – (legend has it that her ghost appears by the side of the road); Too Much is Not Enough is a song of fun, lust and longing while the title track, Home on the Hill describes life on the East Coast, with its beautiful beaches, wineries, and penguins. The rollicking banjo of I’ll Meet You on the Outskirts of Town is a song of yearning, and All Aboard the Maglev is Ian’s tune about traveling on the magnetic levitation train in Shanghai; Grandson of a Sailor – written for Jane’s son Max, leaving home to join the Navy, and follow in the footsteps of his Grandfather; Little Red Bird gives us the pursuit of peace – sometimes it seems that life is hard, but when visited by a Scarlet Robin every morning, the realisation that there is so much beauty all around and a lot to be grateful for. Jane and Ian have included some twin banjo duets – with Jane on clawhammer banjo, and Ian playing bluegrass style – with Big-Eyed Rabbit, Cluck Old Hen and Lulu Girl, a song about a girl who just wants to have fun – much to the despair of her parents. 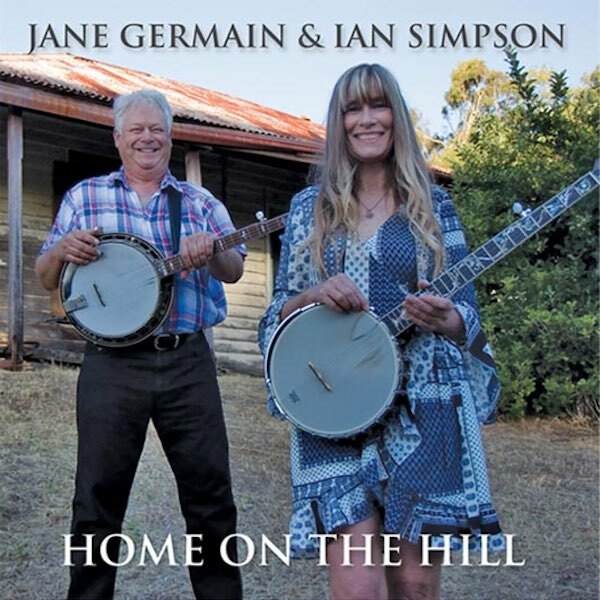 Home on the Hill also features Jane and Ian’s tribute to their favourite vocal duo – The Delmore Brothers with their great gospel song, The Wrath of God. And lastly, Sleepy Eyed John a tale about a man with a sleepy eye and a wooden leg, who was also a bit of a thief – they just don’t write songs like that anymore. Jane and Ian play almost all of the instruments on this recording and welcome the addition of Norm Leslie on harmonica on Home on the Hill and Too Much is Not Enough; and Pete Cornelius & Simon Holmes on Little Red Bird. Jane and Ian will launch their new album, Home on the Hill on Saturday, 13th May 2017 at Clancy’s in Fremantle, WA. Joining them on the night will be Adam Gare on fiddle/mandolin and Sophie Gare on bass. Then on the 26th May at Mountain Mumma in Sheffield and the 27th May, a launch at Rosny Barn in Hobart with The Cherry Tree Hillbillies, followed by a tour of Tasmania, playing all over. Here is an opportunity to see up to five great banjo players in one concert experience. In building the profile of his annual bluegrass tuition camps over the past few years, Peter Nahuysen has been working on delivering the best level of instruction he can find. However, this year he has outdone himself. 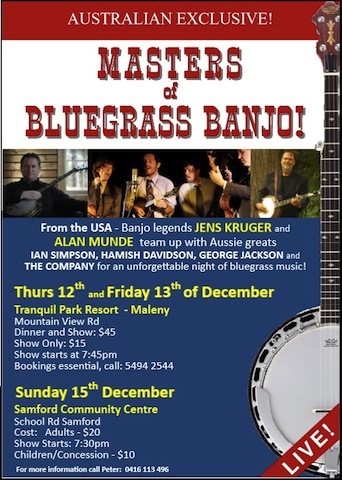 Peter has secured the support of Jens Kruger and Alan Munde for the 2013 music camp and to top it off he will bring together other Australian greats Ian Simpson, Hamish Davidson and George Jackson in what will be a most memorable night of bluegrass entertainment. Unfortunately the USA visitors Jens Kruger and Alan Munde were only available for four days which makes touring beyond the south-east corner of Queensland impossible. However if you want to cross the borders and head to Queensland, I am sure you won’t be disappointed. For more information call Peter Nahuysen on 0416 113 496. 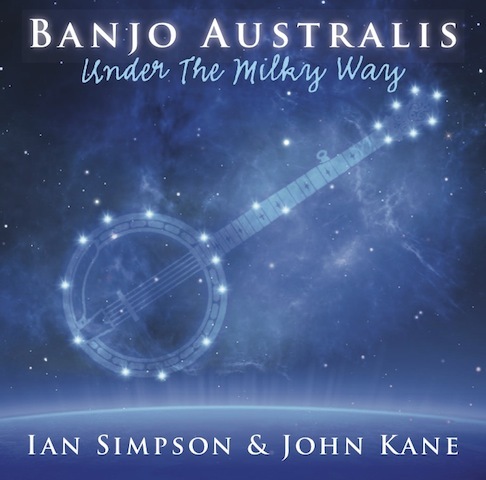 Banjo Australis Under the Milky Way – by Ian Simpson and John Kane 2013. In 2010 Ian Simpson and his pickin’ pal John Kane released a superb album entitled “The Banjo; Misunderstood Maligned Magic.” It consisted of 20 of the all-time great 5-string banjo instrumentals. (If you are a banjo player and don’t have this album yet, do yourself a favour and get it.) In September this year Simpson and Kane released a second album, taking that uniquely American instrument and applying it to a uniquely Australian repertoire. And the result is, simply fabulous. As the album’s liner notes state, the banjo has featured prominently in Australian music over the decades, including being heard in the music of Slim Dusty, The Seekers and of course the iconic Skippy theme. However Ian and John have broadened their choice of Aussie material far beyond folk music to include such songs as Under the Milky Way (The Church), She’s My Baby (Johnny O’Keefe), I’ve been Everwhere (composed by Geoff Mack made famous by Lucky Starr) and the Easybeats classic Friday On My Mind. The result is an album of diverse tunes and styles, all of which sound like they were composed with the banjo in mind! Ian Simpson is arguably Australia’s finest banjo player specialising in 3 finger style, and John Kane, is an excellent guitarist, mandolinist and a very fine clawhammer player. The 2 banjo styles blend beautifully on the album, with Ian also contributing guitar and double bass, and John adding guitar, mandolin and ukulele. The music ranges from gentle, poignant melodies right through to rip-roaring ‘blow your hat in the creek’ double time picking. It includes jazz, country and Celtic influences as well. The album is a complete package that captures both the best of the banjo and of Australiana. Sometimes people say of the banjo that they can’t hear the melody. The delightful thing about this album is how Simpson and Kane pull out the melody so well in each song making the music instantly recognisable and accessible. The arrangements are beautifully constructed, tasteful, often understated and played with flawless virtuosity. And the recording quality, mixing and mastering of this album is superb. There are so many highlights on the album it is hard to name just a couple. It opens with a beautiful rendition of Waltzing Matilda that will stir your soul, then there’s the Slim Dusty and The Seekers Medley that will have you smiling and singing along. There is a standout TV theme medley, which includes Skippy , The theme from Rush, and Home Among The Gum Trees. There are also 2 evocative original tunes composed by Ian and John for this album, Snowy River Ride and Kangaroo Valley Ramble that capture the Australian feel. Other tunes include The Dying Stockman, Kookaburra Sits In The Old Gum Tree, The Road To Gundagai and the traditional Country Gardens. One of the main reasons why we chose the Australian music for this album is to help bring the banjo to a broader audience. I believe Banjo Australis will do just that as its appeal is so broad – Ian Simpson. This album is guaranteed to keep you smiling, tapping your toe and humming tunes all the day long. It will make a great Christmas gift to your friends and family who perhaps are not yet convinced the banjo is the greatest instrument ever made! The Banjo; Misunderstood Maligned Magic! by Ian Simpson and John Kane. The Fiddle -The Greatest Hits of the Devil’s Instrument, by Mike Kerin, John Kane and Ian Simpson. Here’s some news from our friends in Western Australia. Appearing at the Fremantle Workers Club this month (12th April) is a trio of banjo masters including Ross Nickerson from the USA. Jane Germain & Other Guests. The Harrietville Festival this year promises to be bigger than ever with a host of local and international bands scheduled for the weekend event. As usual the weekend will consist of a series of afternoon and evening concerts, day-time vocal and instrumental workshops, supper shows, open mic stages, Sunday Gospel concert, structured jams for less experienced players and new starters, shape note singing and lots of informal picking sessions. The Thursday night features a community concert with Bluegrass band – Audie Blaylock and Redline as well as an Old-time mountain square dance – with live music from our old-time USA guests – all dances taught and called – no experience needed. Here is a list of bands scheduled to feature across the four-day event. Appalachian Heaven (Vic) – CD Launch! The F iddle CD will be launched at “Notes Live” venue in Enmore, Sydney on Friday the 4th of November. The night will feature Mike Kerin on fiddle, Ian Simpson on banjo, John Kane on guitar , and Michael Vidale on bass with special guests Genni Kane, Anne Kirkpatrick and more. The Fiddle is the follow-up to last years very successful award-winning ABC album The Banjo from Ian Simpson and John Kane. 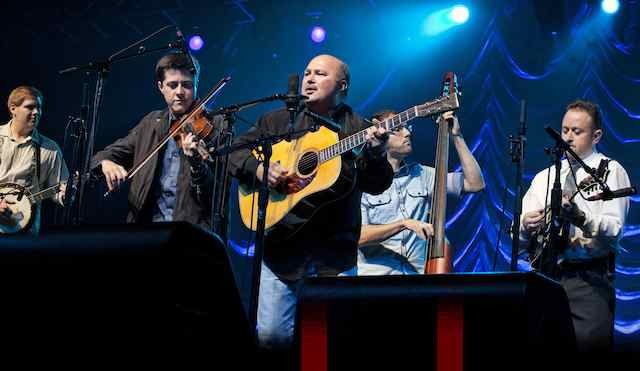 This time they have shifted focus to the fiddle and brought renowned Australian fiddler Mike Kerin to centre stage. The album features the greatest hits of the Devil’s Instrument from the wild ride of Orange Blossom Special to well-known fiddle tunes like Arkansas Traveller to the gentle lament of Ashokan Farewell (as featured in Ken Burns Civil War series) and the country swing of Bob Wills. Mike, Ian and John spent many years together as The Flying Emus and who better to invite along to help to celebrate the release of The Fiddle album than ex Flying Emu cohorts Michael Vidale and of course Genni Kane in a rare live performance. Also along for the ride will be long time friend and musical collaborator Anne Kirkpatrick. It will be a night of fiddle tunes interspersed with some classic bluegrass and Australian songs from some of the country’s finest players and singers. Mike Kerin is a consummate fiddler. Apart from nearly 10 years with The Flying Emus, he was Slim Dusty’s fiddler for more than 20 years. He has toured as a soloist with Richard Tognetti and the Australian Chamber Orchestra and produced and recorded albums for many artists including Anne Kirkpatrick. He now performs with Anne and premier Australian Celtic Folk band Wheelers and Dealers. 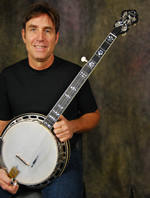 Ian Simpson is Australia’s leading bluegrass banjo player. His impeccable playing has graced recordings and live performances of a who’s who of world-renowned artists including Paul Kelly, Keith Urban, and Slim Dusty. He is a stalwart of the Perth music scene where he now lives and works producing recordings, playing sessions, and performing with Jane Germain. John Kane is regarded as one of the pioneers of bluegrass flat picking guitar and mandolin in Australia. These days he is a well-respected record producer and screen composer having worked with the likes of Judith Durham, Ted Egan, Anne Kirkpatrick, The Bushwackers, Jay Laga’aia and Georgie Parker; and composing music for TV programs as diverse as ABC’s Good Game and the 2008 Paralympics Games television broadcast theme. Michael Vidale has played bass both live and in the studio with Don Walker, The Whitlams, Anne Kirkpatrick, Slim Dusty, The Bushwackers… The list goes on. Add to this the legendary singing of Genni Kane and Anne Kirkpatrick, plus a few surprises and it promises to be a memorable night at “Notes Live” in Enmore, Sydney on Friday the 4th of November. The On the Verandah concert presented by Rachel Dillon on 14 May this year, was a most enjoyable night given Perth’s acoustic-starved music scene. The event was not on a verandah but in the Aranmore Hall, only the stage was made up to look like an old verandah. With more than 200 people attending, it was the second sold-out event of its type, demonstrating that acoustic music can be successful if promoted well. 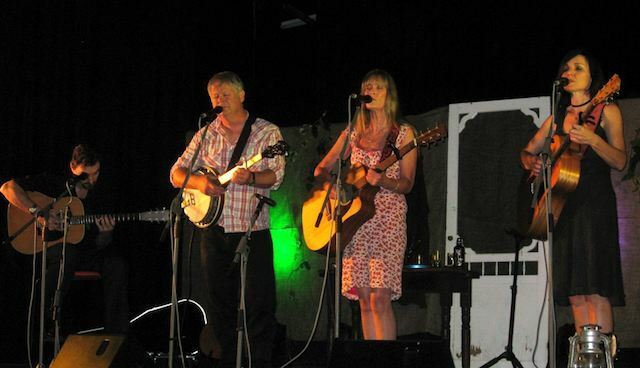 The headline act was multi-award winning duo, Jane Germain and Ian Simpson, accompanied by Adam Gare on mandolin and fiddle. Rachel Dillon performed the support set, ably assisted by Quentin Fraser (guitar and resophonic guitar) and Stephen Loss (upright bass and guitar). Rachel kicked off with the Jim Croce song Age, followed by a couple of Gillian Welch songs, Red Clay Halo and One More Dollar. She also sang her award winning Hell for Leather, which was well received. The boys were not denied the opportunity to show their chops and did an excellent guitar duet on Blackberry Blossom. Stephen revealed to the audience that despite Quentin making frequent derogatory remarks about banjo players, Quentin is actually one himself. Maybe he will give us a tune on the banjo next time, or does he fall in to the definition of a gentleman – one who has a banjo, but doesn’t play it in public? After a short speech from the Headache and Migraine Association (part beneficiary of the evening), Ian and Jane entertained us all with some great bluegrass, country, blues, and western swing, and amusing banter. Jane has a marvelous and versatile voice, suited to both country and bluegrass. Apart from guitar, Jane also played some old-time frailing banjo on Banjo Picking Girl. Ian of course shone brilliantly on the five string with tasteful backup and strident lead breaks. He provided strong harmonies and was just as capable on guitar as banjo, playing some great licks on the Cash/Carter favourites Going to Jackson and Ring of Fire, which they have made their own. Adam Gare backed up with some very nice mandolin licks and he really shone on one of Ian’s original instrumental tunes which Ian said Adam had only played once before. Obviously their long association means Adam can improvise comfortably over Ian’s backup. Adam showed he has some formidable pipes when he sang the lead on Bob Wills’ old Faded Love, and his fiddle break on that song was pretty impressive too. At the end of the show we had the bonus of all six musicians playing a mini set, including the gospel tune Angel Band. An encore bought them back to finish with an old Bob Wills’ classic, Roly Poly – politically incorrect these days, but nonetheless entertaining. Altogether it was a great night of live acoustic music from fabulous musicians. A main meal and dessert were provided and it was BYO drinks. Unfortunately they ran out of the meat dishes before everyone was fed, but there was enough vegetarian food to go around. The chef apologised and said he will run “down another sheep” (or was that ‘roo?) for the next one. Last Saturday saw a fantastic night of entertainment at what is becoming known as On the Verandah. Tickets for the event sold out two days before, and the phone rang hot with people seeking tickets up until 6.30pm, the night of the concert. 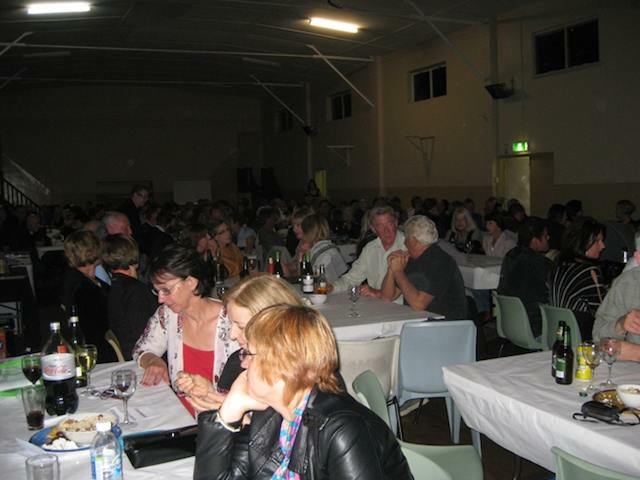 175 people did not miss out and organisers advise that public demand will certainly see a return on On the Verandah. Quentin Fraser and Rachel Dillon opened the night with some of Rachel Dillon’s original folk, Americana and coal mining tunes. After supper Jane Germain and Ian Simpson took the stage with their brilliantly entertaining bluegrass and country blues originals. Some of the crowd were up and stomping their feet as an attempt at clogging. Quentin and Rachel joined Ian and Jane for a few numbers at the end. We were having so much fun we really didn’t want to close the show. We managed to raise $300 for Headache & Migraine WA. Two more shows are in planning already: another for Perth in April and one at Digger’s Rest Station in the Kimberley during next years’ dry season in July – Rachel Dillon. The On the Verandah website is under construction but will be up just before Christmas with more detail for both shows. Saturday October 16th 2010 Ardmore Hall, Perth WA. Much of the music we love today had its origins on front verandahs in the southern states of America. Today, On the Verandah is offering Perth music lovers an unique community-oriented music event to recreate the days where friends would linger on the front verandah listening to live, local music while enjoying family suppers. Our events are old fashioned style of evenings where guests book a table with friends, drinks are BYO and the entertainment begins relatively early at 8 pm. Nibblies are served at the tables and a home cooked hearty supper is served during interval (around 9) with the evening concluding between 10.45 and 11pm. The atmosphere is friendly, where people can feel as comfortable as they would on their own verandahs. By hiring old venues like Aranmore Hall, which was relocated from country WA to Leederville in 1923, we are trying to recreate an authentic feel to the evening, in keeping with the style of music – Rachel Dillon. 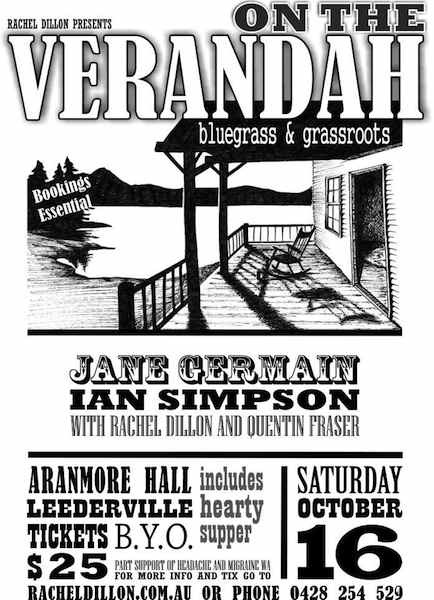 This is a bluegrass and grassroots event, with Ian Simpson (Aussie Banjo champion who played for Slim Dusty for many years, Paul Kelly and others), Jane Germain (award-winning WA songwriter), Quentin Fraser (multi-instrumentalist with Karen Lynne’s Acoustic Shock, Sydney), and Rachel Dillon. Rachel relocated to Perth just over a year ago and while she is a relative new face in the music scene she was shortlisted in last year’s ASA Song writing Competition and in 2010 won second place in WA Poets Festival Lyric Writing competition. When: Saturday October 16th 2010, 7.30pm for 8pm start. An affordable evening of Bluegrass, Country, Americana and folk with an old-fashioned, home cooked supper. BYO Drinks. Tickets: Adults: $25. Children under 12: $20 and available online at racheldillon.com.au or phone 0428 254 529. Bookings essential. No door Sales. Artists: Jane Germain, Ian Simpson, Quentin Fraser, Rachel Dillon (pictured).